Most people would just visit the many “branded” shops in Penang for buying some local products back home. Thus, with so much of publicity and advertising charges incurred by the companies, the products would be rather expensive. 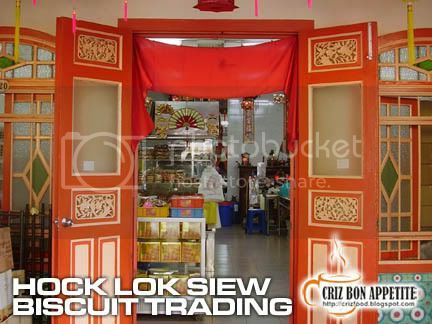 There is this shop called Hock Lok Siew Biscuit Trading within the heart of Georgetown itself that produces quality local products and market them at a cheaper price. In fact, they are the main shop that supplied 40%-50% of their products to the food industry. Here are some of their products (about 40% shown) available throughout the year. Since today is Malaysia’s Independence Day as well as the 1st day of the 8th Month in the Chinese Lunar Calendar, it also marked the start of the Mid Autmn Festival. Traditionally, on this day, many Chinese households would gather family members and friends to celebrate this festival outdoor while admiring the bright mid-autumn harvest moon. Children would be playing with colorful lanterns lighted with candle (nowadays battery operated too). Moon cakes and biscuits would be in abundance as desserts. The shop would also produce such tasty delicacies during this festival. They have many paste fillings such as red bean, green bean, coconut, lotus seed, durian, red plum, pandan lotus, green tea, mixed nuts, and also mixed nuts with ham. All would be priced between RM4.00 and RM7.00. You will have the option to add in a salted egg by paying only RM1.00 extra per egg yolk. 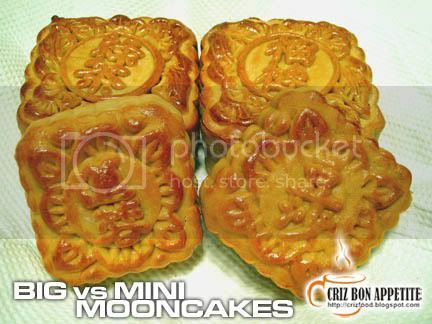 If you feel that one big moon cake would be too sweet for you to consume, they do have the mini size moon cakes (red bean and lotus seed paste only) at RM4.00 per box. That’s for two red bean paste and two lotus seed paste mini moon cakes. It’s a great bargain. 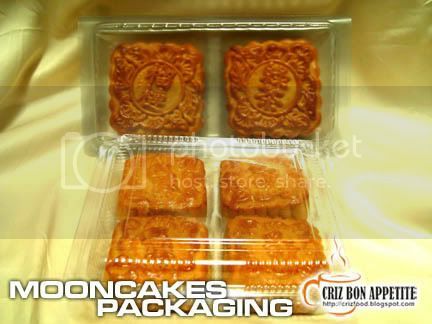 All the moon cakes come with a simple yet great plastic box to present as a gift to your family and friends. 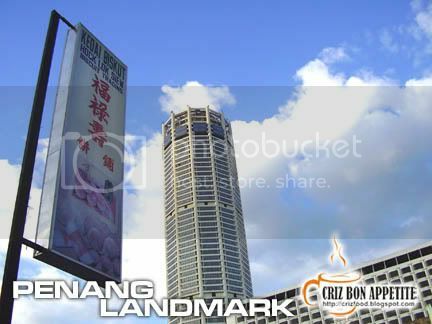 On top of that, they do have moon biscuits (Gong Zai Pheang) for sale too. 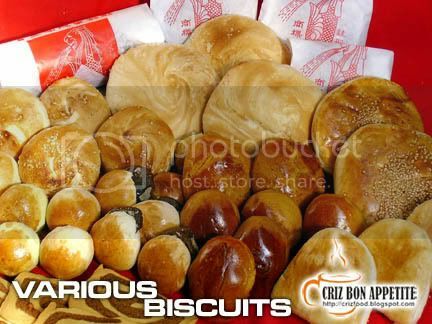 The plain, melon seed, red bean, lotus seed and coconut moon biscuit would be available throughout the year while the durian paste moon biscuit are seasonal. Prices ranged between RM4.00 and RM7.00 for 10 pieces or per 500grams. If you are coming from Trader’s Hotel along Jalan Magazine, keep to your left and drive on until you have reach the second traffic light. 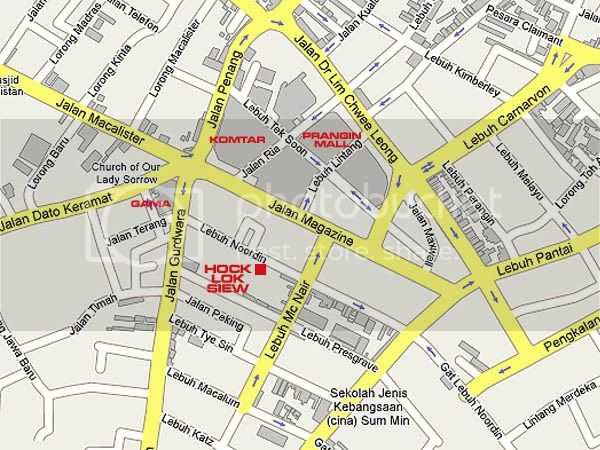 Turn into the first road on your left (Jalan Gurdwara) and then the first left turning into Lebuh Noordin. The shop is just somewhere in the middle on your right within a row of heritage houses. By the way, please give them a call prior to going as some of the products might be available only at certain time of the day. Address: 120, Lebuh Noordin, 10300 Penang, Malaysia. Nice bisquits…..gotta look for the place! haev u tried their Pong Piah? but need roughly around RM4 for 6 pcs…. coincidently, we bought Hovk Lok Siew biscuit in this afternoon! haha….anyway, what i can say is their biscuit quality are truly outstanding! i never had 公仔饼 with coconut so nice before! absolutely amazing. Its moise and fine for the biscuit layer, and the coconut is juicy. freshly made from the oven. wonderful. where else can get this kind of quality with cheap price? looks good! how come penang’s shops look so much cooler than kl’s lol..
Beh Teh Sow, Tambun phneah, pong phneah, oh t’ng phneah, bak phneah, ang kong nah phneah, …, and the guey phneah!! Wah, so many variety.